Each order from Superior Coatings of America is made to order, ensuring the freshest material and highest remaining shelf life upon receipt. 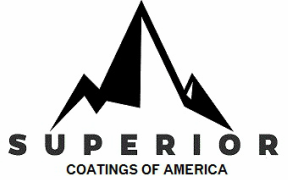 All coatings are proudly made in the USA. Compliance documents such as Certificate of Conformance and SDS are included with each shipment as well - Test Reports are available upon request for a small fee. Our average lead time is 7-10 Days from date of order. Rushes are sometimes unavoidable, so expedited orders are welcome with a small rush fee. Superior specializes in small batches - where larger manufacturers have large minimums, most minimums are a 1 Gallon Minimum or 12 Aerosol Cans. Upon quote acceptance, orders are accepted via Purchase Order (Net 30 Days) or Credit Card. We accept all major credit cards, including American Express.